Home featured CHINA: The newest form of communication is subject to one of the oldest tort laws. 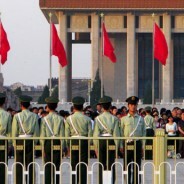 CHINA: The newest form of communication is subject to one of the oldest tort laws. By Michael Goldstein | Instant messaging or “IM” a technology permitting users to send and receive text messages to one or multiple parties without a time delay between sending and receipt of the message is a powerful tool. Using this technology is similar to having a conversation with another person; just like that person was in the room with you. The difference is that the two or more people may be several miles or even continents apart. The benefit of this technology would seem to be obvious, in that a conversation can take place much like one were on a telephone, but without the long distance fees. However, this “IM” technology can also lead to great liability for those who take advantage of its electronic conversation capabilities.